As outside air pollution continues to worsen, it has a direct, negative effect on indoor air quality (IAQ). In fact, some studies have found that indoor pollution may be twice as bad as the pollution outdoors, which is why it’s so important for commercial facilities to install premium air filters. But instead of just improving the air quality, air filters can also save money through a reduction in energy costs. Although energy consumption varies slightly based on climate zone, many office buildings consume the bulk of their energy through lighting, heating, office equipment, cooling and ventilation. That is why so many commercial buildings can save money by installing high-efficiency HVAC units, which consists of efficient air-conditioning and heating units that are capable of lowering energy use by 10 percent or more. In addition, commercial buildings can also implement what is known as demand-controlled ventilation, in which ventilation is significantly decreased when buildings are not occupied. Demand-controlled ventilation is a smart system that can analyze the carbon dioxide (CO2) in the air flow and use that to determine how many people are in the building. As the CO2 levels decrease, this indicates that the number of occupants is also decreasing, and the demand-controlled ventilation system automatically lowers the air supply accordingly. Demand-controlled ventilation is most effective in commercial facilities in which occupancy rates vary, such as auditoriums, conference rooms and offices. When managers of commercial facilities consider areas where they can cut costs to save money, they rarely look at the energy savings that can be achieved from installing quality air filters. Because air filters are hidden from sight, it’s difficult to remember that they can be a source of energy savings. But consider that in many commercial buildings, at least half the energy costs are related to the HVAC system. Moreover, an estimated 30 percent of those costs are related to air filters. That means that anything you can do to improve the efficiency of that system will turn into actual savings. And one of the more important aspects of air filters is how hard they force your HVAC system to work, and how efficiently they trap pollutants. Air filters are designed to eliminate as many airborne particulates as possible, while also allowing the unimpeded flow of air to circulate through air vents. The truth is that if you select a cheap air filter, you are doing your company a disservice, because these filters quickly accumulate dust and particles, forcing your HVAC system to utilize more power to force air through the clogged filters. That means your HVAC system has to generate more power when your air filters are clogged, and lower-cost air filters are far more likely to become clogged in a short period of time. Camfil HVAC air filters are made to capture pollutants and ensure optimum airflow for two to three times longer than regular air filters. This means that you will not need to change your air filters as often, which lowers installation costs, reduces the amount of energy required to force air through your vents and saves you money. Camfil air filters are designed for what is known as “lower average lifetime resistance,” (2) which means that your HVAC unit will not have to work as hard to allow air to circulate through the system, as it would have with a lower-quality filter. And while it’s true that Camfil air filters are more expensive than regular filters, it is important to understand that over the long-term, this higher expense will more than pay itself off as you trim your energy costs.This is known as total cost of ownership, and it takes into account factors such as installation costs each time you change the air filters, and the costs of buying new filters. 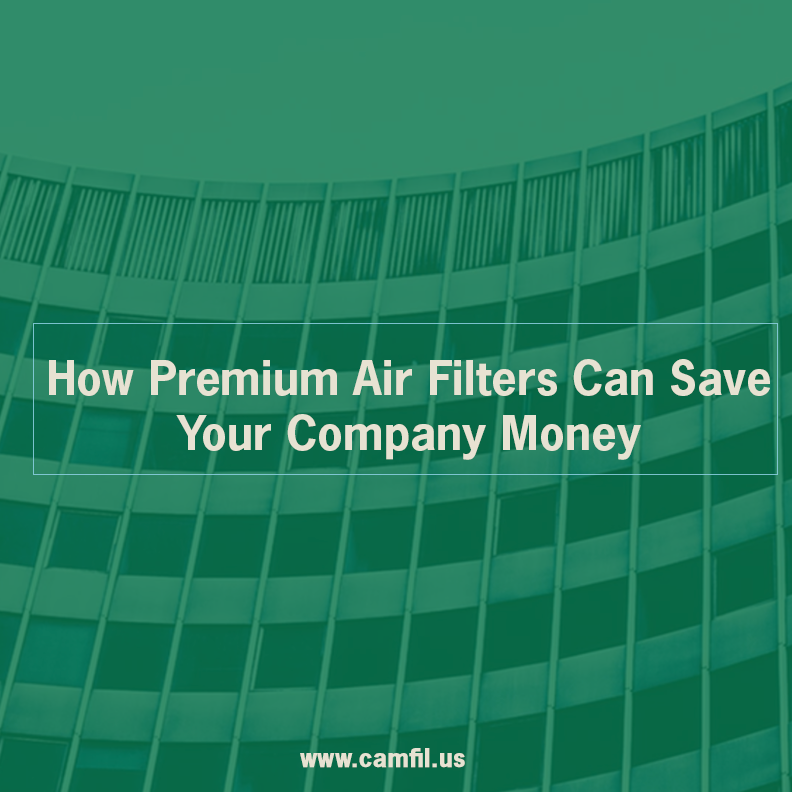 Camfil filters are estimated to save you as much as 30 percent of total electric energy spend. 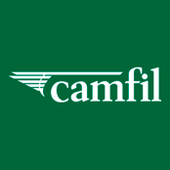 For more than 50 years, Camfil has provided energy efficient HVAC air filters to commercial industries. Please visit our website to learn more about how our air filters can save you money through life cycle cost calculations.